Interview: Stop Thinking & Do with Brett Dennen's Inspiring "Already Gone"
Brett Dennen encourages us to live happier with his feelgood song “Already Gone” and its inspiring music video. Singer/songwriter Brett Dennen is the musical equivalent of a diamond in the rough: He’s been around for a long time, but he still shines as bright as the day we first laid eyes (and ears) on him. The folk/pop artist has done so much in the decade and a half he’s been active, and there’s still so much more to come: “I have a million ideas for songs and not enough time to get to them,” he says. The perfect soundtrack to your summer escape, Let’s… offers beautiful storytelling (“Jenny and Jill”), heartfelt singalongs (“Let’s”), and dynamic, catchy rhythms (“Good Vibration”) to lift our spirits and keep us engaged. Yet perhaps the most excitement comes in the record’s opening track “Already Gone,” a jangling ray of sunshine and cheer encouraging us to embrace our impulsive sides and seize the day. But what’s even more inspiring is the “Already Gone” music video, a collaboration between Brett Dennen and director Craig Allen. The concept is quite simple: The pair went out and found 80-year-old Vera Taylor, and essentially helped her fulfill a decades-old bucket list full of things she had put off, for one reason or another. It’s both a testament to the fact that you can always find reasons to put off doing something, as well as a reminder that you’re never to old or (fill in the adjective here) to see things through, live out your dreams, and so forth. Because if Vera can go skydiving and skinny-dipping, surely each of us can follow through, too! Dennen says his video is part of a “year-long campaign for spreading positivity.” He sure picked the right year: 2018 could use more pick-me-ups. In fact, the world could use more folks like Brett Dennen – a person who inspires simply through being himself. “I think it’s important that we make the time to do the things we really want to do,” Dennen mused in a recent statement. Or, as he tells Atwood Magazine: “What are you waiting for? Go get it. 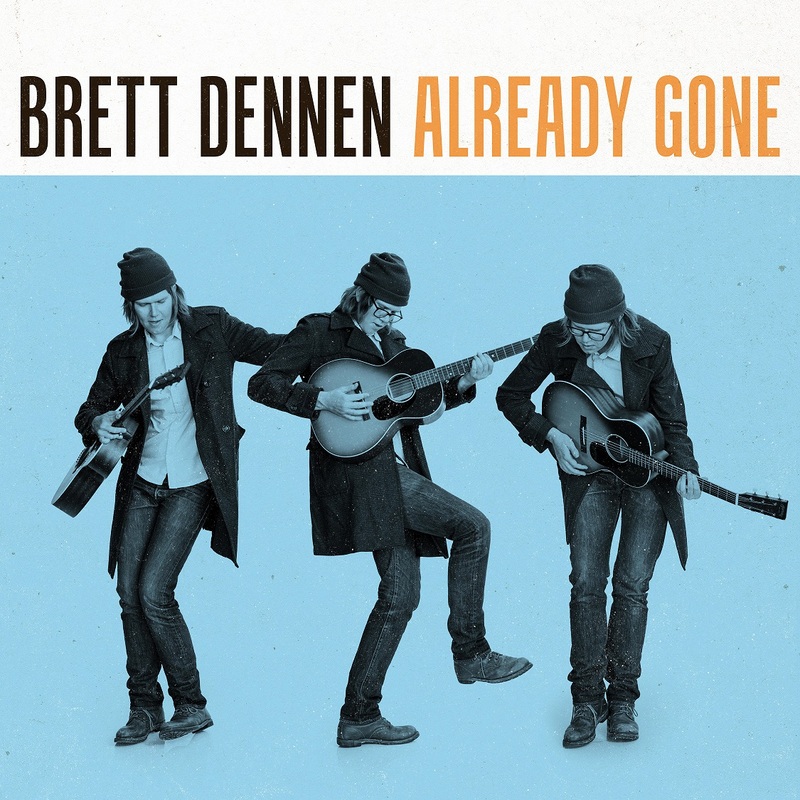 Do it now.” Dive into “Already Gone” below as Brett Dennen discusses his feelgood song and its inspiring music video, and be sure to make time for yourself and cross a few items off your own bucket-list this summer! Atwood Magazine: First off Brett, I'd love for you to speak about your headspace when writing “Already Gone.” I don't want to call it a departure from older work per se, but it definitely feels fresh and new! 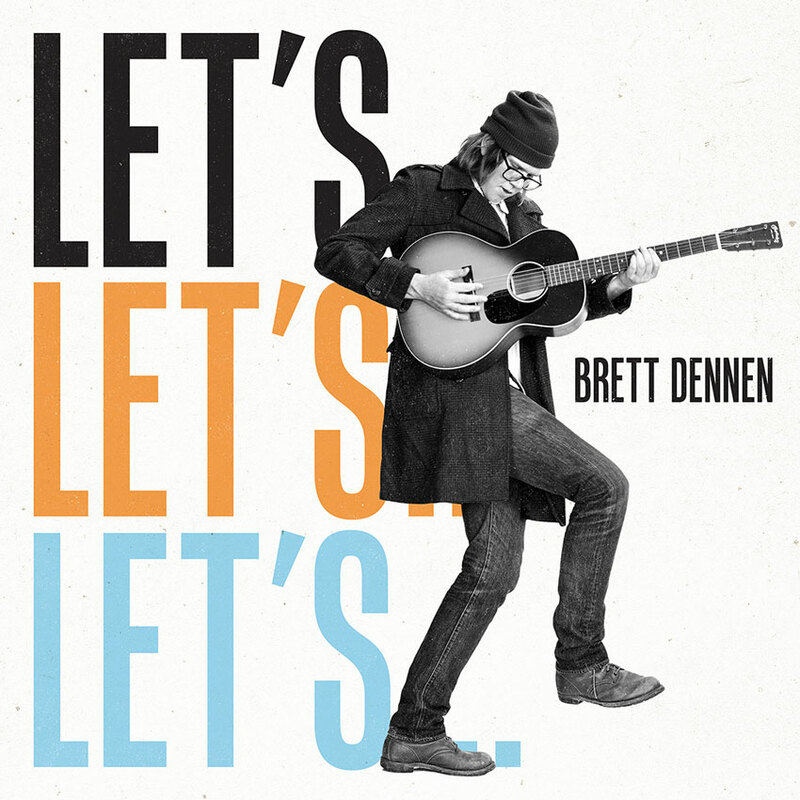 Brett Dennen: That’s cool. I appreciate that. I was just trying to make something happy and fun without any real deep feeling or drama. That’s why the lyric is about acting on impulse, and not thinking. It can be so hard to find inspiration in the intangible, but this song takes a fleeting feeling and (literally) runs with it. Where did you seek inspiration from, when developing this track? Dennen: I wanted to have my own acoustic riff rock anthem like Violent Femmes. I collaborated with Jimmy Harry at his house early on and we were playing with a clap trap we made on his iPhone. Those claps didn’t make the final cut, but they set the fun tone. The “Already Gone” music video immediately put a smile on my face. What was your experience working with Craig Allen, and how did you two shape the video? Dennen: He pitched me the idea of fulfilling someone’s bucket list and together we chose Vera, the star. Craig is all about fun and positivity. He’s a constant source of ideas. I love working with him. He’s also hilarious and has amazing stories about Fabio. What's really great about this video is its relatability, I think - driven by pure lust for life, tackling the bucket list. Why do you think that story fits so well with “Already Gone” as a song? Dennen: It fits because the message is to stop thinking. What are you waiting for? Go get it. Do it now. What's on your bucket list? If you were the star of this video, how would it shape up? Dennen: I’d like to ski and surf in the same day. But not just to do it and say I did it. I’d like to have a good four hours in great snow and then a fun afternoon or evening surf session and watch the sun set. As someone who's been active in music for 15+ years, you've had a few musical phases, etc. This EP has something refreshing about it, and I'd love to hear your take on where this batch of songs finds you in life - what's different about it? Do you feel a difference too, or am I fooling myself? Dennen: I don’t feel any different actually. I try not to think about it too much. That just gets me flustered and creatively blocked. It’s all good though. I have a million ideas for songs and not enough time to get to them.